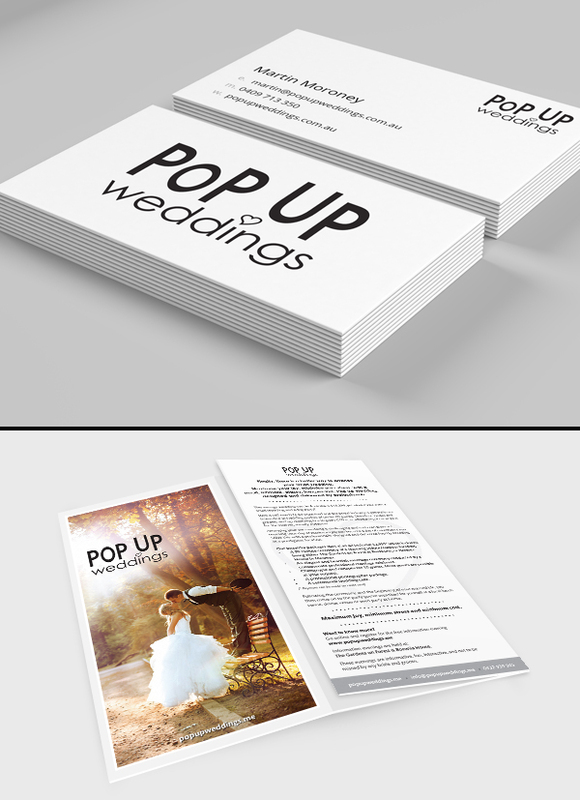 Pop-Up Weddings is a revolutionary wedding business that democratizes the industry by providing cost-effective weddings for couples. The business has created a unique positioning in which it focuses on maximizing the joy and minimizing the stress, with a small, intimate, classy, inexpensive, Pop Up Wedding, designed and delivered by professionals. The communications challenge for Splash was to create a logo and brand identity that reflected this positioning of a utilitarian service provider that is open an inclusive. The resulting logo identity is fun, friendly and fresh, avoiding cliché wedding icons. Our advertising extension included print collateral as well as providing digital assets for the website.